Here are some of the most commonly asked questions we get. If you have another concern, drop us a line on our contact page. What if it is raining when we arrive at Maya Chan? The weather is never a problem for us and it just may be the best stop on the cruise for you! We have previously arranged “Rainy Day Schedule” events which may include Tequila Tasting Seminars, beer tasting information, floatie races, and rain kayaking, just to name a few. Our creative staff always has something up their sleeves. We have plenty of covered areas to protect guests from the elements. What if the ship does not dock due to weather or scheduling? If the ship does not dock, for whatever reason, your money will be refunded to you in full. We ask that you give us ten days to complete the refunds as we are often unable to secure good internet service while travelling or during a storm. How far from the port are you? 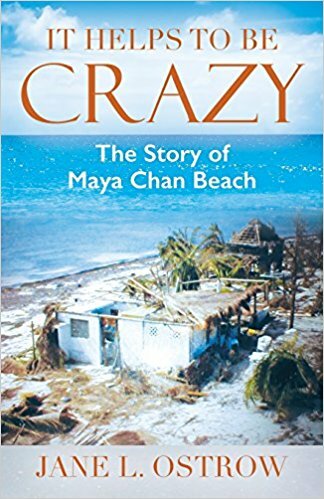 Maya Chan Beach is approximately 4.3 miles from the port of Costa Maya. While with us you will be able to see your cruise ship. Our average transfer time is twenty minutes each way. This is subject to change due to traffic in town and road conditions. Maya Chan Beach is located on the Federal Coastal Highway, which is unpaved. The local government has lately been maintaining it very nicely. While at times the road may be bumpy, you will be able to enjoy the beautiful Costa Maya coastline. Children are always welcome at Maya Chan Beach, however we do not have a specific program arranged just for the younger cruisers. We are in a calm water area with a sandy bottom. We do supply sand toys for the little ones. Click here (link to kids & families page) for further details. It’s the tropics, so anything and everything is possible. Frequent rain showers help us maintain water levels in our underground cisterns, however they rarely last more than 5 minutes or so. The constant Caribbean breezes keep the air flowing and helps ward off those hot, balmy temperatures you will find on inland shore excursions. Otherwise, expect plenty of sunshine and beautiful blue skies. Will I be expected to tip everybody? Our hard working team members gratefully appreciate acknowledgement for the exceptional service they always provide. We do ask, however, that you refrain from tipping staff members individually. A tip box (Love Box) will be available at the end of the day to show your thanks. Can I take of tour of the ruins and still enjoy Maya Chan Beach? The most significant ruins on the Costa Maya are three hour or more excursions in themselves. Because this would leave very little time to enjoy your day with us, we don’t recommend combining the two. Bring a towel, your sunglasses and a bathing suit. And don’t forget the sunscreen. We do have change rooms and fresh water showers should you wish to change clothes. If you feel you may participate in our beach massages, they are $25 US for a half hour and $45 US for a full hour. Guests pay the masseuse directly and they take cash only. You will also need cash for tipping. Is Maya Chan Beach a loud party place? In a word, “No”. Maya Chan Beach is a place to enjoy nature, warm Caribbean sunshine, and great food and beverages. If you have a larger group and wish to rent out the entire resort, please click here (link to events page) for more details. Yes, we designed the property to allow each party a private area. These are pre-assigned according to group size and when the reservations are made. Once all areas are full, the resort is fully booked. Yes, Maya Chan Beach was designed for groups. Please call for special pricing for groups of 20 or more. We fumigate our facilities every two months with an all-natural pesticide approved by the state of Quintana Roo. This product does not harm fish, animals, people, or plants. However, there is the occasional “Chiquista” that escapes and finds the visitor tempting. We do provide bug spray if this becomes a problem. Is there a fresh water pool? Due to the nature of the weather and the fact that we produce our electricity, it would be almost impossible to maintain required cleanliness standards for a pool. For this reason, we offer fresh water showers for our patrons. How is the snorkeling from your beach? While snorkeling from shore is often beautiful and populated with sea life, the snorkeling at the Mesoamerican Reef is much better. Our glass bottom kayaks are available for those who would like to explore it. Click here (link to snorkeling/kayaking page) for more information. No, your cruise line will supply you with beach towels. All you have to bring is that towel, sun block, and your normal beach attire. We have fresh water showers, so you may want to bring a change of clothing. We use solar power and don’t have laundry facilities. But if you forget one, we do have a few available. Do you have sea grass? Yes, we are all in a protected habitat along the natural Yucatan Coastline. It is against the law to remove any growing sea grass from the water. We do get dead grass that floats onto the beach, along with some debris. Although we clean the area throughout the day, sometimes we get more than we can handle. Maya Chan Beach is all about nature and reducing our carbon footprint. We are a complete experience, not just another Caribbean beach. Our general cancelation policy is if you cancel before your ship leaves port, we will refund 100%. For further exclusions, please refer to our cancellation policy sheet.